December 11, 2012 / P.J. So I really dig doubles tournaments. I normally team up with Darren Dolezel, who is another member of the Rattling Chains staff. Our goal is to usually try and compete, have some fun and see what happens. In the past, we haven’t done so well. For whatever reason, we just don’t score. Whether it’s because we don’t play well off one another, are tired or just get into trouble, we don’t seem to place well. A few weeks ago, I thought we had a solid chance to cash. Alas, it didn’t work so well. It was a Mr. DiscGolf doubles tournament at Tyler State Park in Pennsylvania. The course is remarkable, but it can play long — even with the pins in the short position. Add in a 36-hole singles tournament the day before, colder weather and having to play 50 holes on this day, and it didn’t work out so well. Looking back, I can count at least six or seven stupid mistakes we made. If we erase those, we might have had a good chance at cashing. A few weeks later — the Saturday following Thanksgiving — we were at it again. This time at the Turkey Throwdown III at Schenectady Central Park in upstate New York. The setup for this tournament is playing best score from the short tees and the second round was best shot from the long tees. This setup wasn’t particularly good for us as Darren is a much better player than me, so my goal was to help on a couple of holes in the first round and hope Darren could carry us. From there, he’d have to again carry us in the second round as he’s the longer thrower. That meant from the long tees, he needed to really give us a shot to score. The prize for my certificate… now to break it in! Add those things together and it likely spelled doom, even in the rec division. Our first round went decent. Our 57 put us in a tie for seventh in the 13-team division. With another team shooting a 49 in the opening round (the only four teams to score better in the 36-team tournament were the three pro teams and the team to eventually win the Am division), we weren’t counting on a win. But with some steady play, maybe we could get into the top part of the grid. Eventually, though, something has to click. We started out strong in the second round and were consistent throughout. We ended with a 61, which put us in good position. Still, I didn’t think we had a chance to cash as I was sure the teams in front of us would have been pretty steady as well. Our 61 did enough to put us into fourth place. It’s not the biggest of paydays — a $15 certificate each to the club store. But it’s still cashing. I also can’t lie — knowing you’ll get called up to get this certificate, even cooler. So, yes, I was a little giddy. 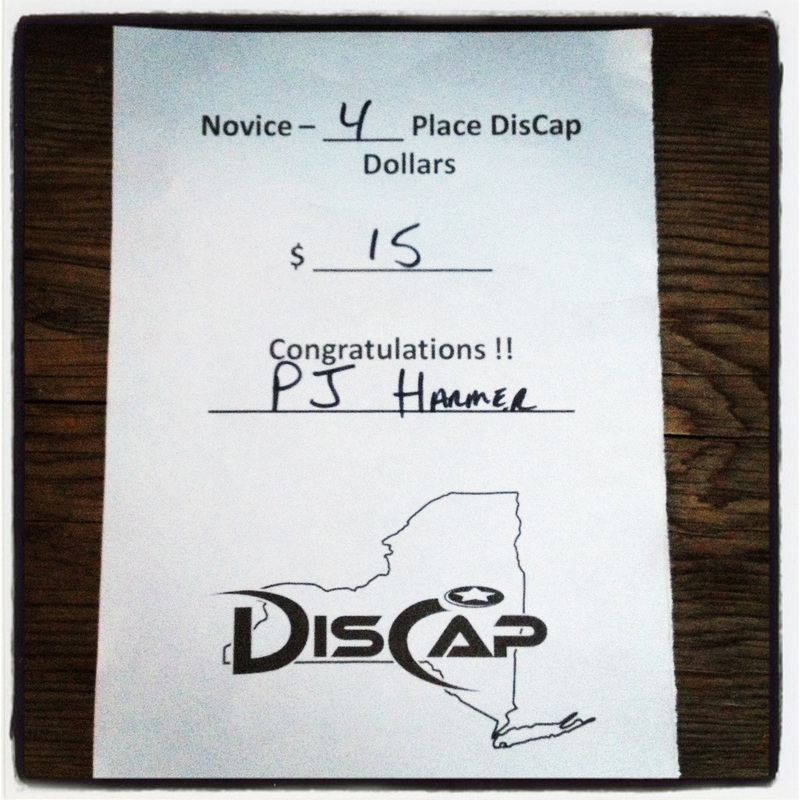 I ended up with one disc for my “bucks” and in the end, I was just happy to have that feeling of truly cashing. It may never happen again. Who knows? If you’ve never had a chance to cash at a tournament, it’s my hope you get that chance. It truly is a feeling all disc golfers should get at least once in their lifetime. ← Poll 38: What’s the oldest piece of plastic you carry? Congrats again PJ and Darren !!! I cashed at my own tournament. It was a collegiate event put on by myself and a friend. We set the tournament up and we put the teams together. We had discussed ways to make everyone have a good time and not stack teams, but we ended up stacking a few teams anyway. And my team came out on top. We ended up with two new discs, a golf towel and a gift card to Chipotle. So maybe it’s not exactly cashing but I’ll take it. I haven’t cashed out at a tournament yet, but I did win a “closest to pin” prize at a weekly random-draw doubles event. Last year I was in Durham, NC, for Thanksgiving. I drove to Chapel Hill to play at the University of North Carolina with the Carolina Disc Golf Club. I was one of four and completely out of my league. 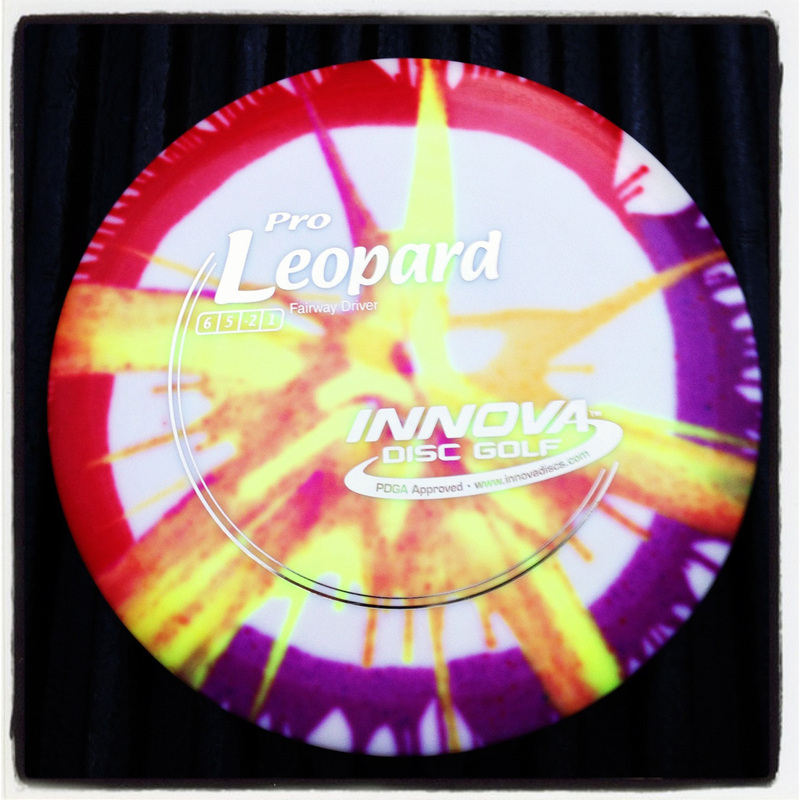 It felt great to win and I drove home with a gorgeous Innova Katana with a C.D.G.C. logo. I’ve played one tourney so far and placed third in my division, which got me $20 in discs (I picked a VP to add to my collection and some minis). And even if I was playing Novice, it was still an awesome feeling!